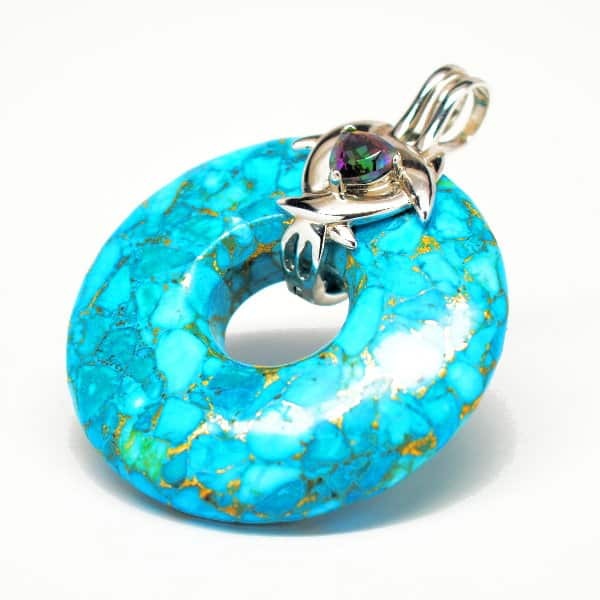 Historically one of the most revered stones of Native Americans and Tibetans, the word about the mind, body, spirit benefits of turquoise stones is spreading as far as its powerful effects upon the vital throat and heart chakras. 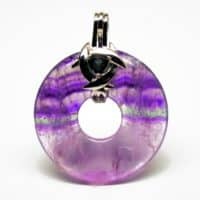 Prized as a stone of spiritual attainment believed to filter the fifth element—ether—into the etheric body, this stone’s powerful effects upon the throat and 3rd eye chakras compel truthful communication from one’s spirit and help users attain access to past life experiences. 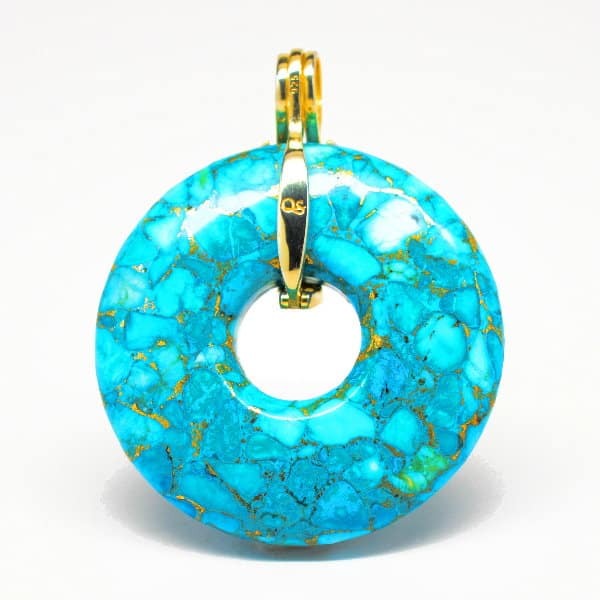 The warm, calming and soothing nature of turquoise makes it ideal for those suffering from any type of trauma—physical or emotional—in the past or present. 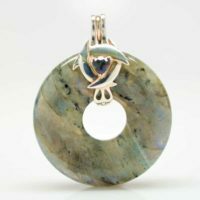 It is often called upon to discover and contact spirit guides of all forms, both in the physical and spiritual realms so users can delve into realms of the previously unknown. 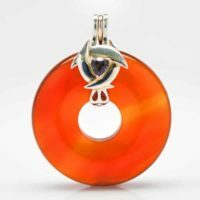 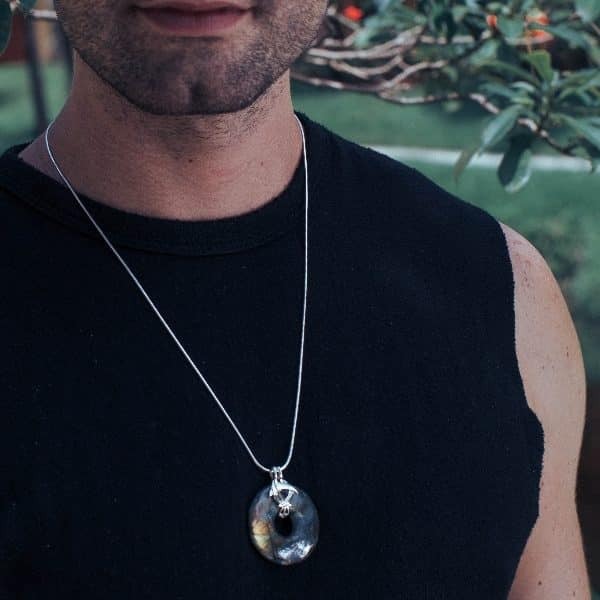 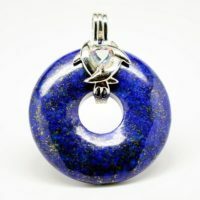 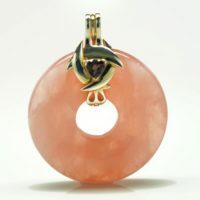 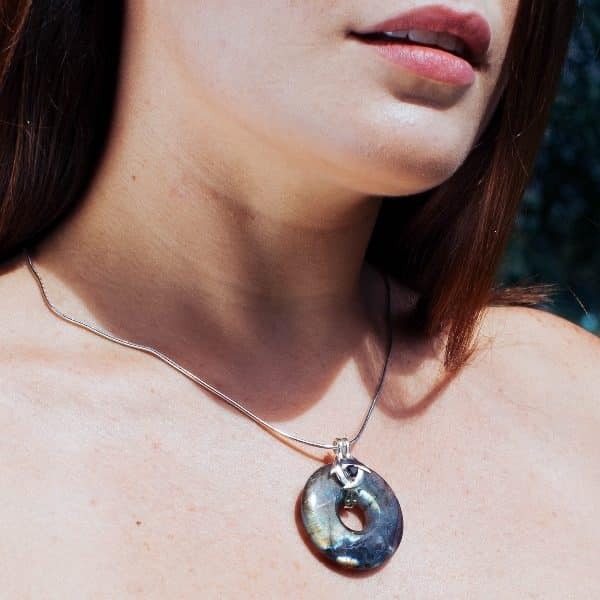 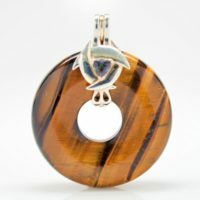 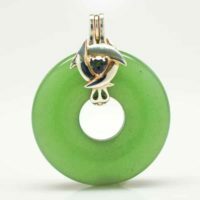 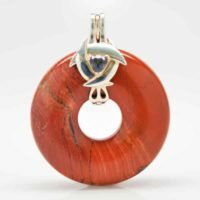 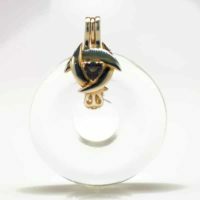 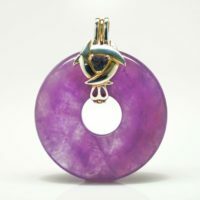 This powerful pendant is perfectly complimented to amplify your healing and prosperity intentions when paired with amber cashmere or rose essential oil. 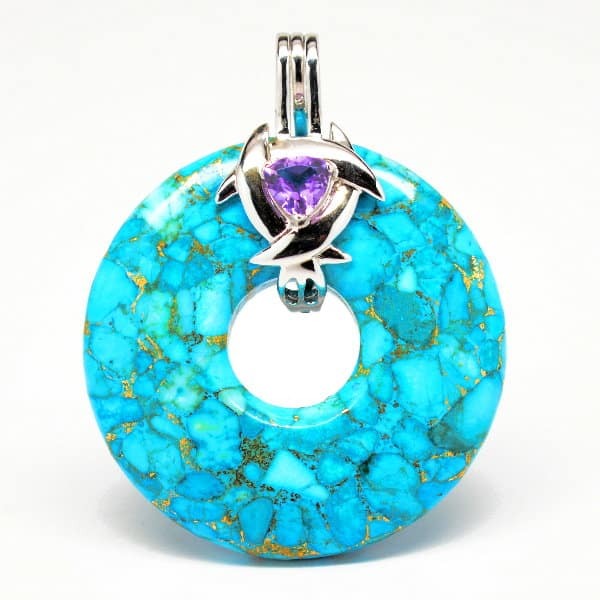 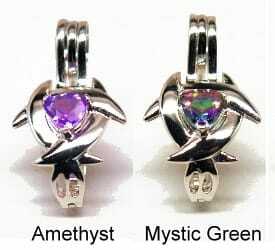 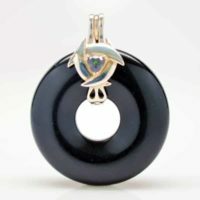 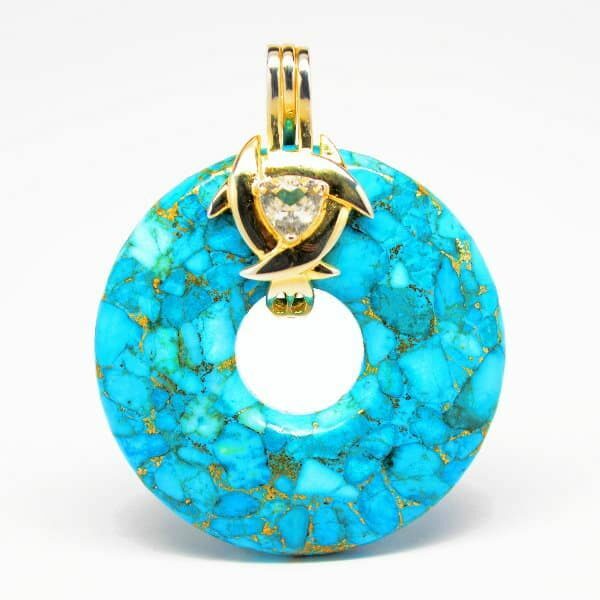 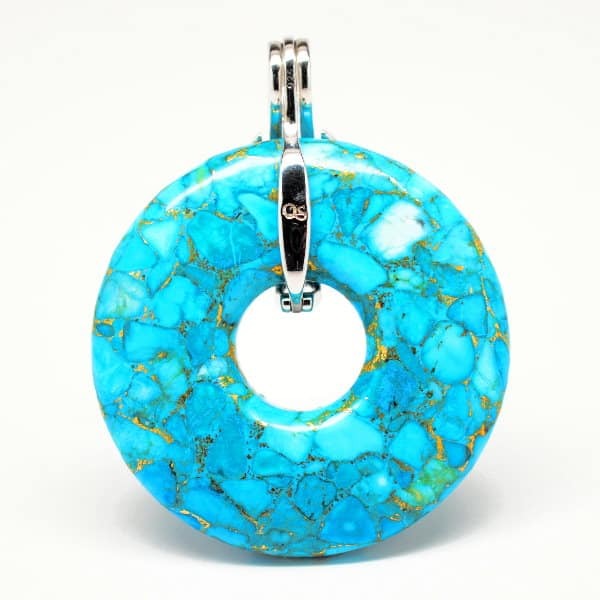 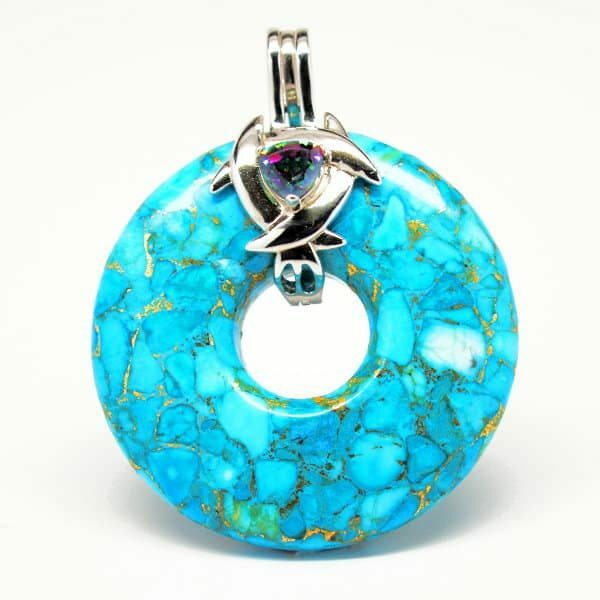 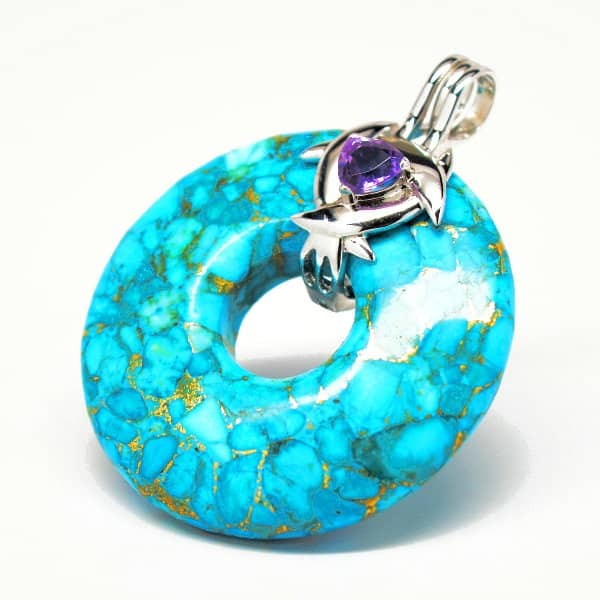 Be the first to review “Turquoise Genesis Pendant” Click here to cancel reply.